Stonehenge: How Did The Stones Get There? 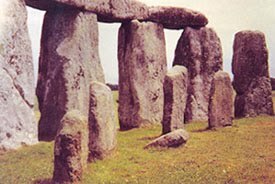 We explain how the myth of the stones transported from south Wales to Salisbury Plain arose and why it is wrong. History is full of enjoyable myths but Stonehenge has too many. They mutate. Hardly had modern scholars got rid of the pre-Roman druids than those soothsayers reappeared in the guise of 3rd-millennium BCE astronomer-priests who are said to have designed the great circle as a celestial computer for the prediction of eclipses. There are other common fallacies. The Greek explorer, Pytheas of Marseilles, who provided the first written account of Britain when he visited the islands c.300 BCE, is sometimes said to have visited Stonehenge. In fact, he landed near the splendid circle of Callanish in the Outer Hebrides 500 miles to the north. Just as mistakenly, Stonehenge is described as a British stone circle though it is not this at all, but rather an imitation in stone of a lintelled timber ring, with architectural influences from Brittany. Perhaps the most persistent of these myths is that men ferried scores of enchanted Welsh stones hundreds of miles. Returning across the Irish Sea from the Wicklow mountains to their home in southern Britain some time after 3000 BCE, a group of gold- and copper-prospectors are said to have steered towards the landmark of the Preseli mountain range in south-west Wales. Regarding the Preselis as magical and their bluestones life-enhancing, the crews felt compelled to plunder them one by one for an intended megalithic sanctuary on Salisbury Plain. The romance has been repeated ….